With an ear for the chaotic timbre of international dance music, Rizzla’s performances connect his own productions with those around the world in unexpected and often disturbing ways. After a youth spent omnivorously consuming a wide variety of American club cultures, he was discovered by Kingdom in the shadowy corners of Boston’s queer underground. He studied music and history in Trinidad where he became obsessed with the sonics of counterculture and the musical language of resistance. He and longtime collaborator D’hana Perry founded the KUNQ collective, a growing alliance of queer artists working in music and visual media. After relocating to Brooklyn, he became a regular performer at the legendary Ghe20 Goth1k and the greater community of alternative nightlife. 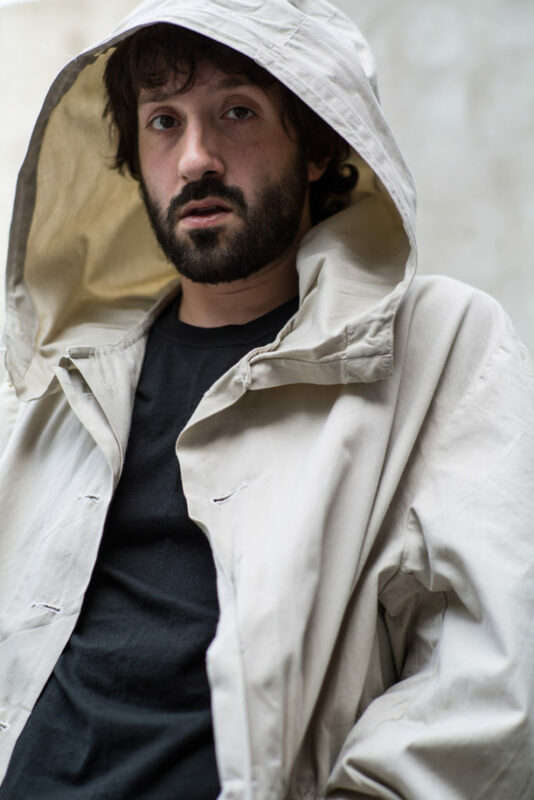 With a discography composed of both self and official releases, Rizzla continues to blend DIY aesthetics with pop-influenced productions, taking influence from the myriad sounds of NYC and beyond.